Recessed panel door styles, often referred to as Shaker, are one of the most popular cabinet styles. Loved by many homeowners because of its simple clean lines and sharp squared edges. 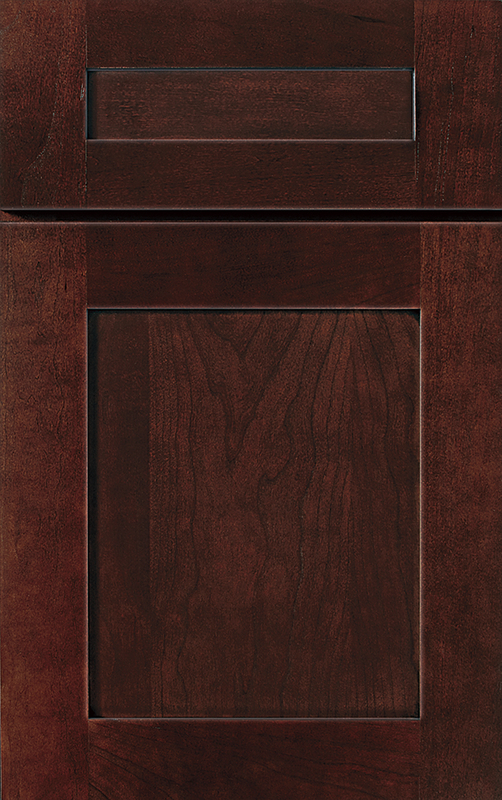 Wellborn Cabinet has the perfect door to suit this style “Prairie”, which transcends all 3 Wellborn Cabinet series: Select, Premier, and Estate. It is available in a multitude of wood species, stain colors, and painted finishes. This door style comes with a slab style drawer front for the purist approach and more modern look, but Wellborn Cabinet does give you the option to change the drawer front to a five-piece configuration consisting of recessed center panel. Therefore the drawer and door would come in the same profiling for a seamless classic look. 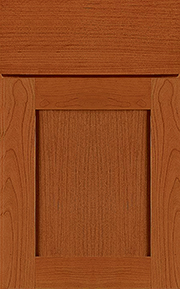 One advantage of the Prairie door style is that it blends in perfectly for almost all types of decors. Whether you have a classic country kitchen, an airy farmhouse kitchen or a modern chic bathroom, this cabinet will fit right in. Change the wood species to Oak or Hickory for distinct texture and graining, providing a welcome transition from the surrounding surfaces. 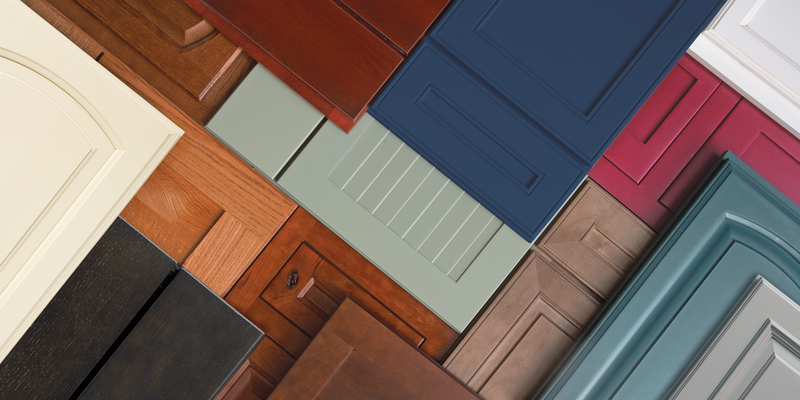 Recessed panel door styles, like the Prairie, Hancock, Bristol and Bishop to name a few, come in a wide variety of painted, stained, and glazed color hues to choose from. However, if you have your heart set on that special paint color, then no need to worry because Color Inspire is the custom paint program just for you. If Sherwin Williams, Benjamin Moore or Valspar makes it, you can get it. Creating endless possibilities for the perfect space to be yourself. 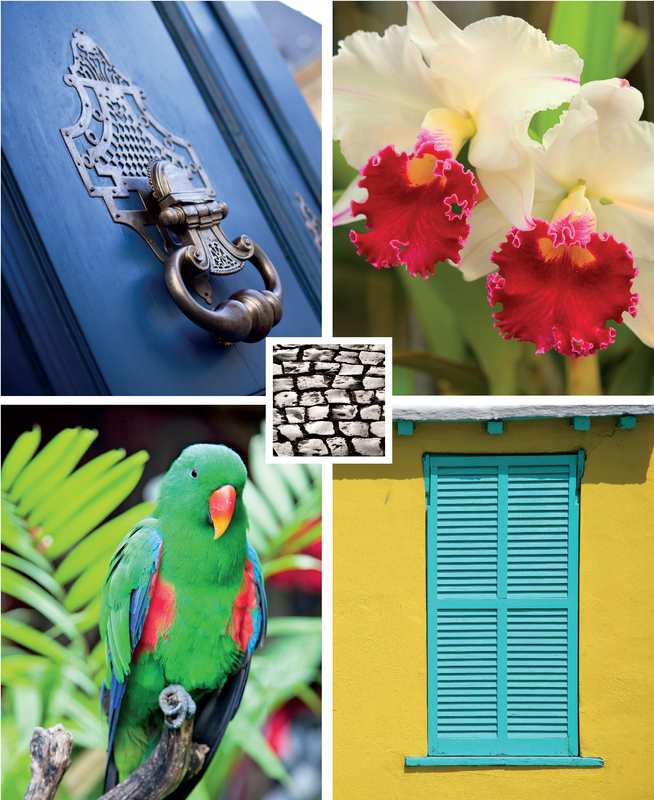 Color plays a major role in the style of the space, so discover the choices offered. Glacier white is an especially popular color right now, but don’t be surprised to see painted Bleu and Willow or stained Drift and Shadow for those island accents. 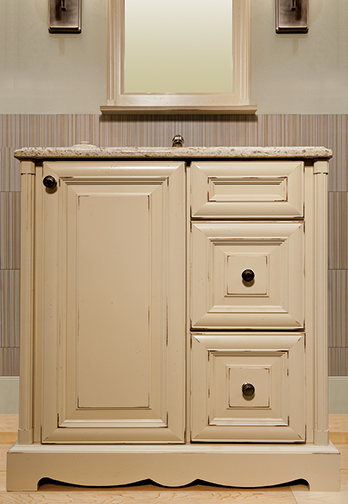 A paint finish allows the cabinet to retain its timeless classic style. The only downside is hairline cracks showing up at the joinery, over time as the wood shrinks and expands. Wellborn Cabinet offers 8 different finish techniques that can be applied to the cabinetry to give it that special touch in completing the overall look of the space. Antiqued is cabinetry aged with care. Its features include rub through on the corners, small dents and worm holes, and burnishing. Cottage enhances the cozy country charm by adding splatter marks. Seaside feels light and breezy on painted finishes with burnishing to the corners and dry brushing with Slate glaze. These finishes give the cabinet a slightly stressed and aged finish. The wood goes through a sanding process after which a special glaze is applied on the surface. Because of the added steps involved in techniques, you can expect to pay a slight up charge to achieve the look. Alternatively, we are seeing less use of the Thermofoil door styles, like Nantucket and Newport, since painted finished have become more popular. A high-quality foil is pressed to a MDF substrate under intense heat. The resulting cabinet has a light texture and is very durable. Thermofoil cabinets are best for the bathroom because they can withstand high-moisture environments. The risk with using them in the kitchen is damage from heat. The foil tends to yellow when exposed to prolonged use of heat. Finally, there is 24 -step superb finishing process, called Wellguard, that all stained doors and drawer fronts are subject too. From hand selecting the finest woods to start, hand applied stain, 3 coats of sealer, all baked-on with a UV curing/ drying process. 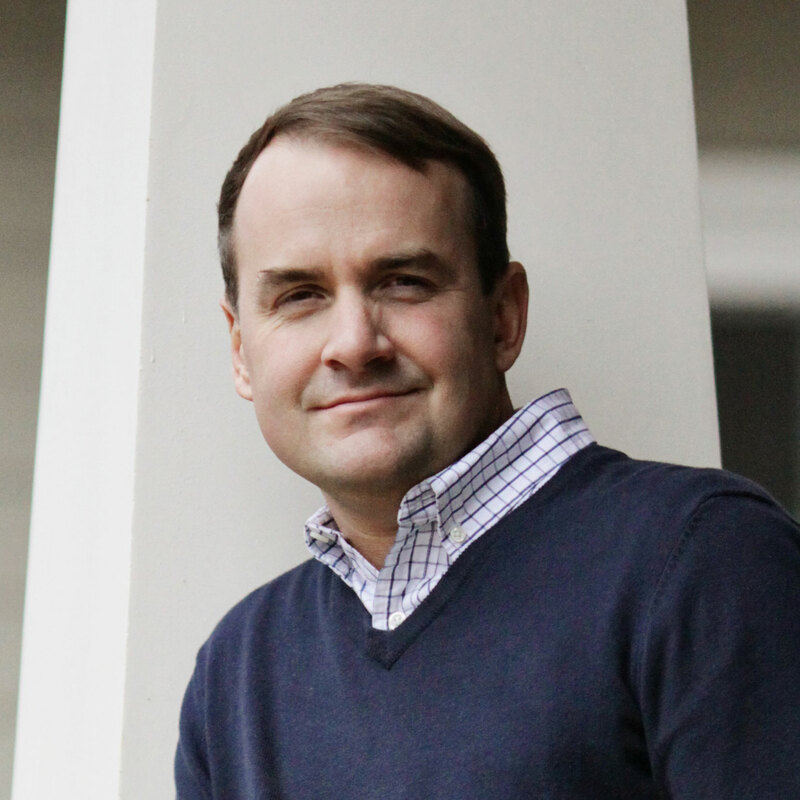 Wellborn Cabinet takes great pride and care with the finishing of their wood products to ensure a superior product. The process has been tested against 17 common household chemicals and food products with the long-lasting results. 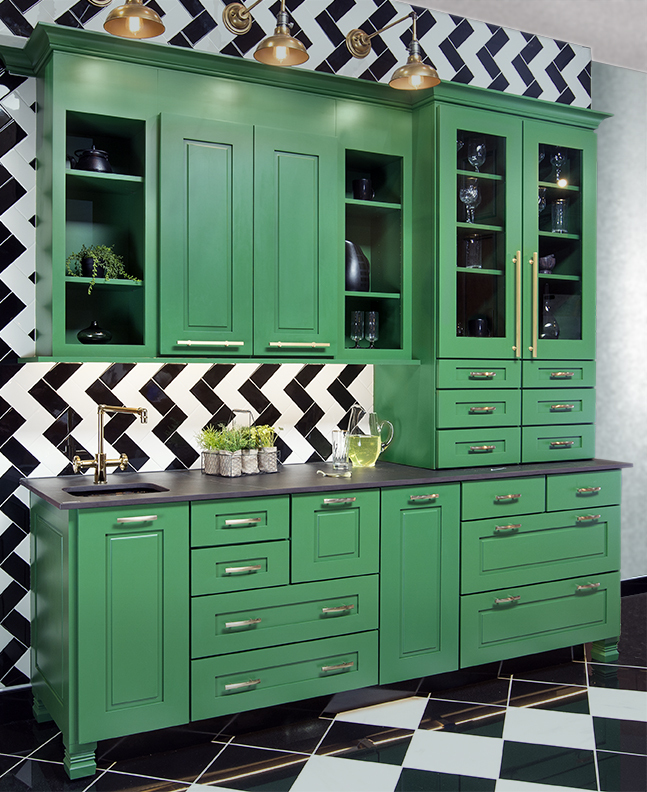 Read more about shaker style cabinets by our friends at Sebring Services. Written by Bryan Sebring of Sebring Services, located in Naperville, Illinois. Sebring Services provide bathroom remodeling, kitchen remodeling, and basement finishing design-build services.